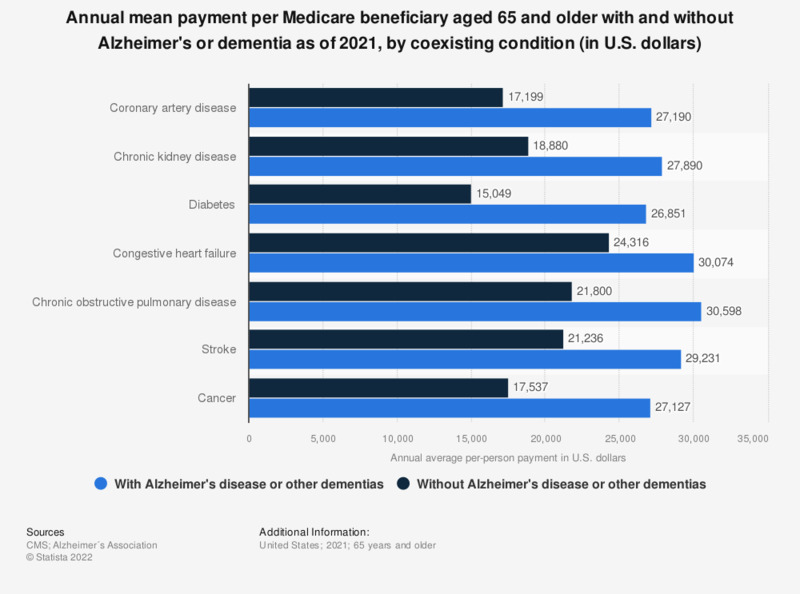 This statistic displays the annual mean payment per Medicare beneficiary aged 65 and older with and without Alzheimer's or dementia as of 2018, by coexisting condition. The average payment per beneficiary without Alzheimer's for cancer services totaled 16,736 U.S. dollars, compared to 26,387 dollars for those with Alzheimer's or dementia. This statistic is based on unpublished 2014 Medicare data (in 2018 U.S. dollars).